The roll out of the rebranding of Sykes company own brands is well and truly underway and feedback has been extremely positive. 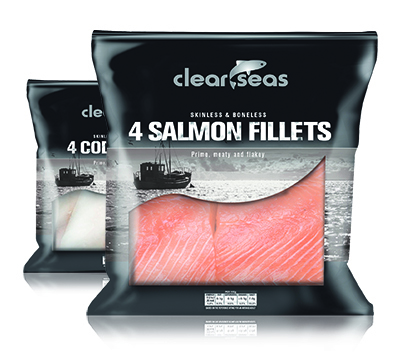 Artic Royal, Clear Seas and Glenmyr brands have all undergone sympathetic but significant transformations to better highlight the core messages of each brand and to bring into line all product ranges with a fresher and clearer customer recognition in mind. Our foodservice customers have appreciated the clearer and more uniform pack designs we have introduced and after debuting with several key retailers feedback on enhanced back of pack imagery and added recipe ideas have seen strong sales growth and excellent levels of customer repeat purchases. “We have never underestimated the importance of a strong brand identity within the Sykes own brand portfolios – the range adds value to all market sectors but it was increasingly important to standardise and marry the quality of the on pack material to match the high quality standards we have been packing in these brands”.